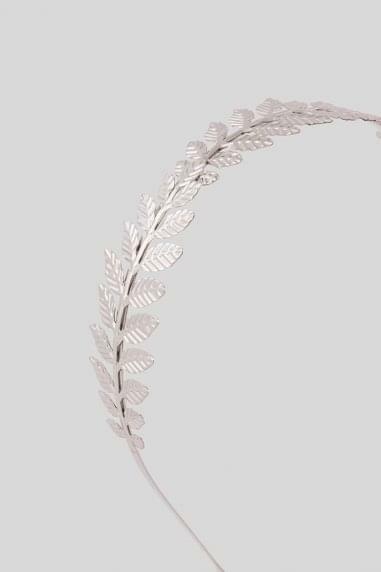 Delicate hair vine on a malleable dainty wire in silver tone finish. 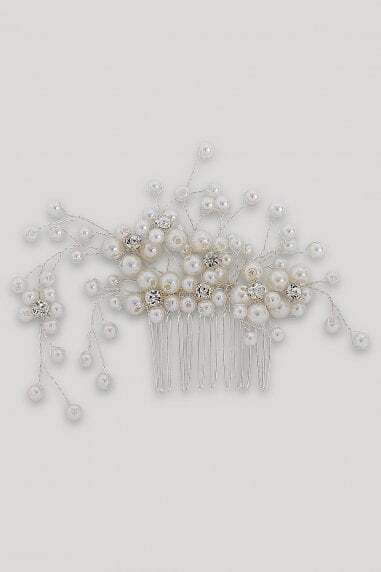 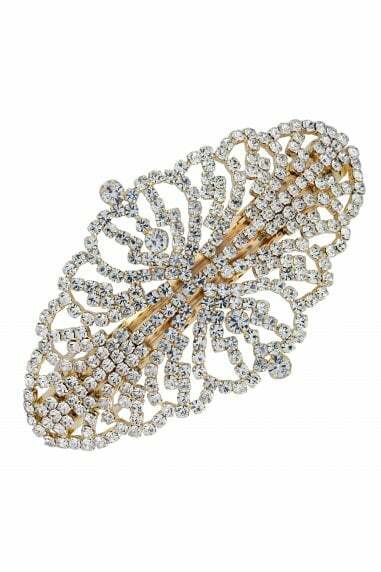 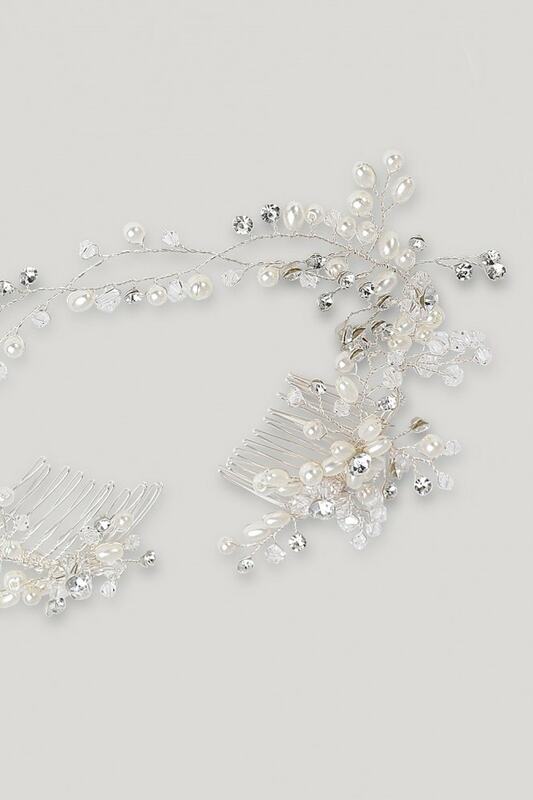 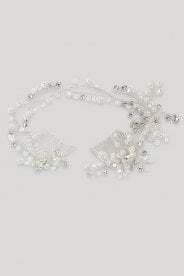 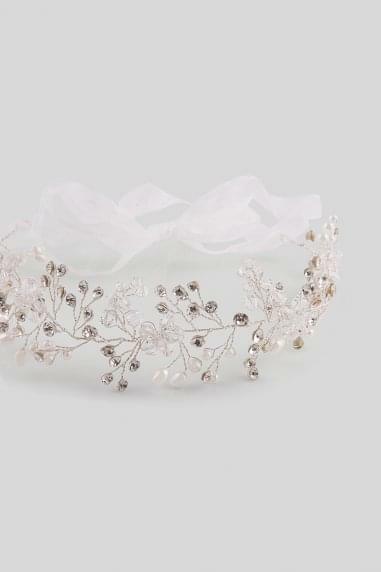 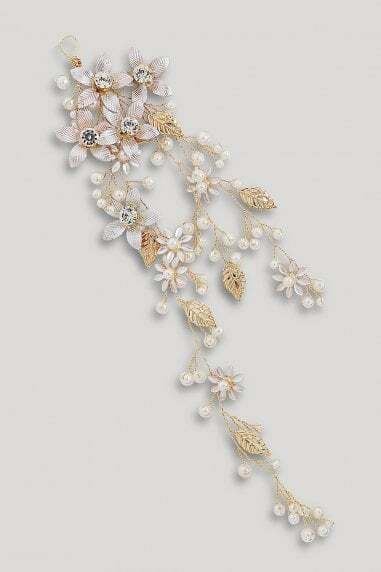 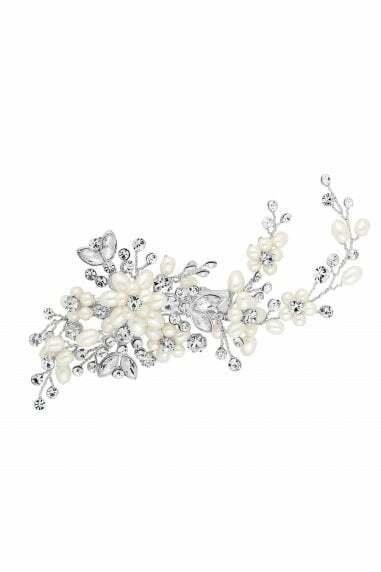 Adorned with clusters of diamanté, faux pearl and faceted beads. 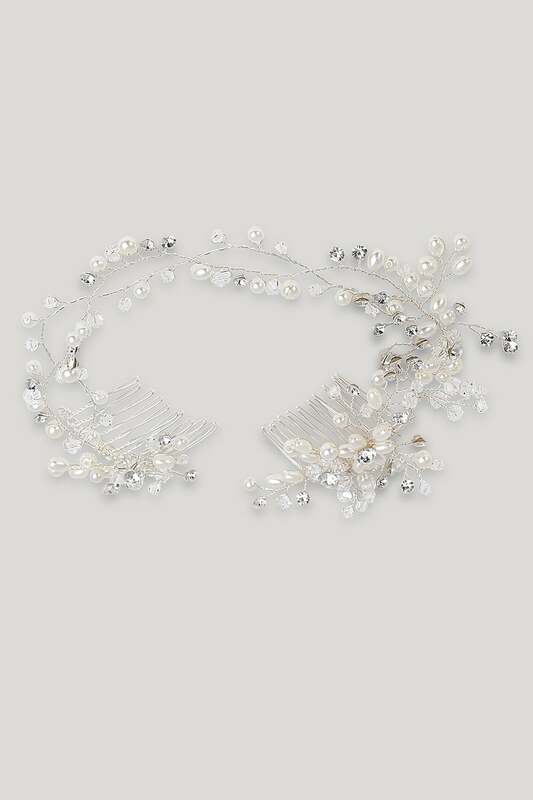 Hair grips at each end to secure into place.